Dunno how I missed posting this. 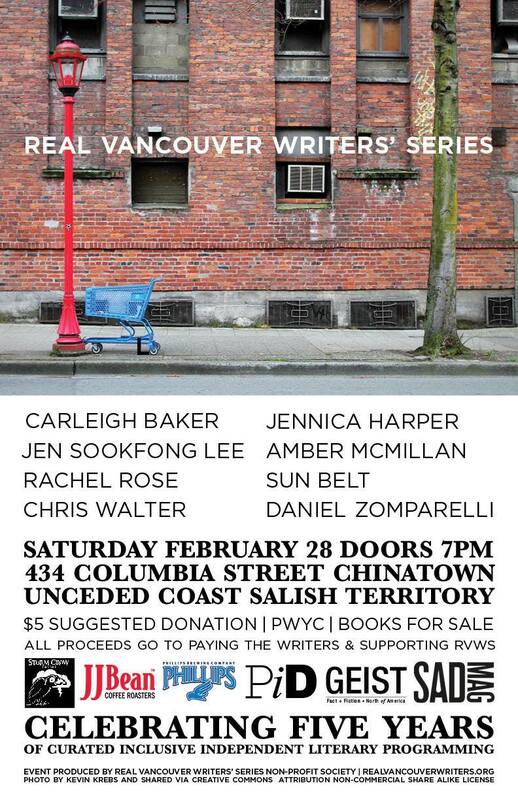 Here’s some audio of me reading at the Real Vancouver Writers’ Series 5th anniversary in February. Sean Cranbury and Dina Del Bucchia host a wild night of poetry, prose, and sometimes music, and it was a real pleasure to be involved. Thanks to everyone at RVWS. Listen to me read at RVW5 on Soundcloud. Listen to the whole Books on the Radio show featuring RVW5. This entry was posted in Blah Blah Blah on August 23, 2015 by carleigh baker.